In early 2017 we recruited Recollective, a group of three artists to deliver a 12-month artist residency in Falkirk town centre. 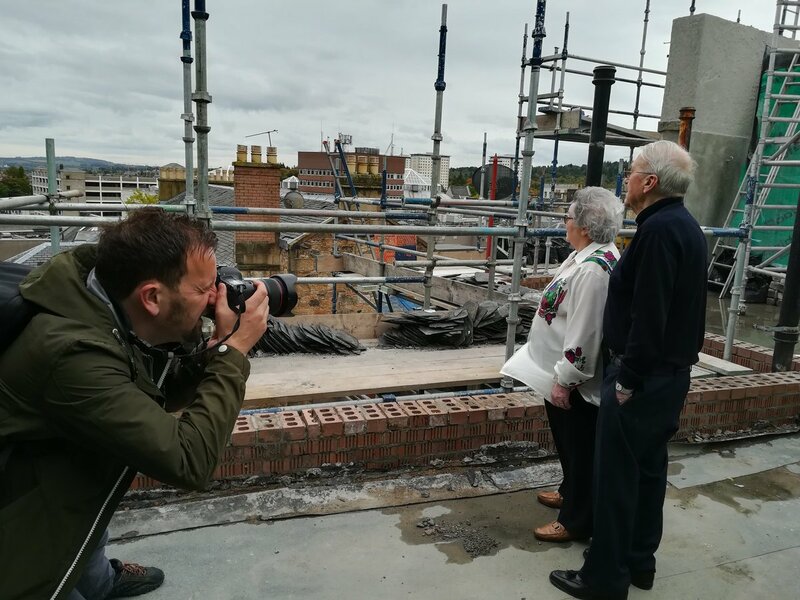 The artists Alison Irvine, Chris Leslie and Mitch Miller engaged local people and groups to document the changes and improvements made to Falkirk Town Centre. 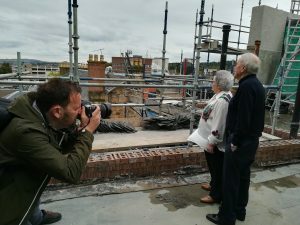 Their work took in landmark buildings such as Falkirk Steeple, shops and offices, and remembers buildings such as Aitken’s Brewery that has long gone. Recollective collected stories, joined heritage tours, sketched, photographed and filmed for an exhibition and publication that was be launched in 2018. 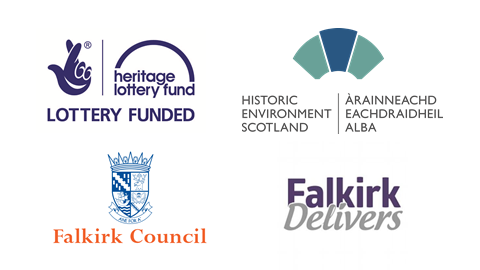 They stand as a major document of Falkirk’s urban heritage, past and present. Recollective consists of a writer, a photographer/filmmaker and an illustrator. Using these three different art forms Recollective documented the regeneration and the social changes the THI has brought about from an independent point of view.